Pup roll off trailers are a great way to increase your productivity. You can in effect double your payload, reduce fuel costs and increase your efficiency. At BENLEE Roll off Trailers, we make the best of the best when it comes to Pup roll off trailers. 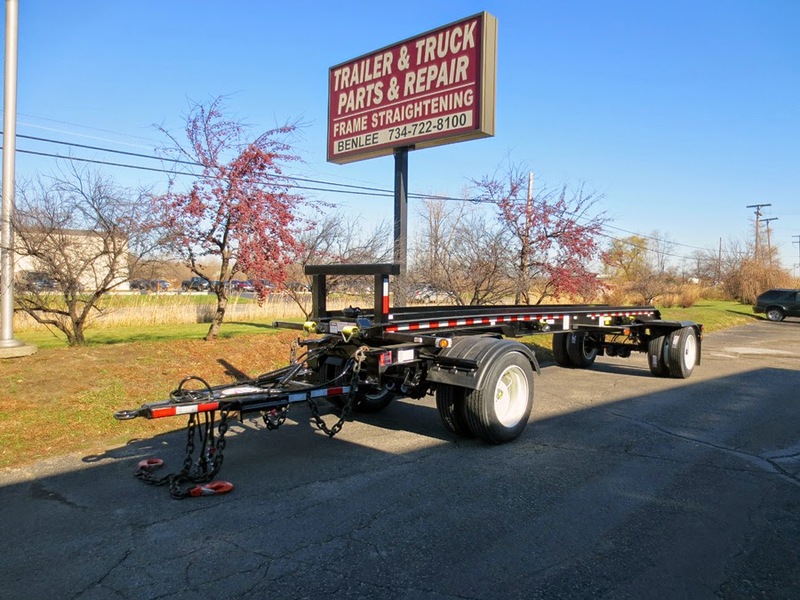 We make the best pup trailer in the business, due to we make them with all the great components that we use such as 25,000 pound axles, 16 Ply tires, wheel checks, heavy duty winches and more. Of course there is the best in support in that when you call BENLEE and order a part, we ship 99.9% of you order and we ship same day. Importantly we also make “Live” pups. Roll off Pup trailers with a full set of hydraulics. This means that the Pup Trailer can pick up and drop off trailers, by itself. Importantly, we also stock Pup Roll off trailers. Call us at 734-722-8100 and we can get you a great Roll off Pup Trailer, today!